Affiliate marketing is one of the first and the easiest way that people use to make money online. If you are involved in internet marketing, you may heard a lot of success stories about it. This type of business can bring success for internet marketers who are persuasive and have enough traffic to sale, whether on their sites, blogs or other platforms. It’s a simple thing, once you cause a sale, you get paid. On the other hand, you’re an outsourced marketer for the company you’re affiliated to. There’s no need to deal with customers — any problems with product purchases will be directed to the customer support team to deal with. You can offer to help those people who buy through your links in a variety of ways, but there’s certainly no obligation. Welcome tp Instazood, the first thing you need to know is affiliates are an essential part of the strategy of our growth. We have many successful affiliate partners who are earning thousands each month with helping our system. We try to create significant opportunities for our affiliates to earn commissions all the time. 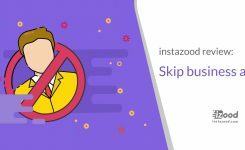 So As an Instazood affiliate, You can earn money by telling your audience (on your site, blog,etc.) about all the different ways Instazood can help them start, run, and grow their account on Instagram. At Instazood the success of our affiliates is important for us. Because apparently, the more successful you get, you can bring us more customers and on the other hand; you can earn more money, that’s why we care about you as much as we care about our customers. 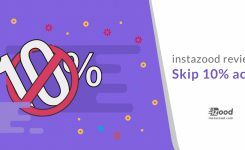 Instagram Bot is the most popular service of Instazood that grows your Instagram followers and brings you a great engagement rate with real followers. This can be really helpful for the business accounts or the people who want to get more popular on in. 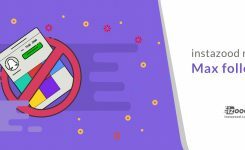 Instazood has this feature that will help you send as many direct messages to as many people as you want.you can send an automatic welcome message to new followers, send messages automatically to your followers or send messages automatically to accounts who aren’t your followers. This service provides you with an excellent way to track and manage your Instagram comments. If you have a busy life and you don’t have the time to track your comments, you use this service to get into a win-win situation (save your time and get more engagement). It is effortless to read, respond, delete, organize all the Instagram comments in one place. We will pay a 15% commission on the first purchase of your affiliate program list, and after that, it will be 10% of every transaction in our system, and it is forever! You may spend your income in Instazood besides if your total balance gets to 200$, we will pay you via PayPal. If you introduce 100 users and they purchase 35$/month on average, you can earn 520$ in the first month and 350$ every single month after. If you are interested in this program, we will give you a specific link, and whoever comes to our website through that link, our system installs cookie automatically on his/her browser, and that user will be added to your affiliate program list. Also, you can see your Registrations users, Paid users, Earning days, Total earnings, etc.